I must start this post with sincerest apologies to Cabot. I don’t even know when at this point, but Cabot sent me a pack of cheese, including their Everything Bagel Cheddar. Ever since, I had wanted to make an Everything Bagel Grilled Cheese. I was intrigued. I was seriously intrigued. Then, time got away from me, inspiration was lost and the cheese sat in the refrigerator. Lonely. And waiting to be eaten. On a weird night at the house, and after taking the ALS Ice Bucket Challenge, I decided to make my version of the Everything Bagel Grilled Cheese. And succeed did I. With the classic flavors of an everything bagel, our Hand-Rubbed Everything Bagel Cheddar tastes like it’s fresh from your favorite bakery! Encrusted with onion, garlic, and poppy seeds and packaged in an 8-ounce Deli Bar, this creative cheddar is a welcome new addition to any cheese platter. As is the case with an everything bagel, one of my favorite types of bagel, Everything Bagel Cheddar is hand rubbed with deliciousness, such as poppy seeds, garlic, onion and so much more. The outside of this cheese exudes all of the flavors you would expect from an everything bagel. On the inside is a typical Cabot Cheddar cheese, which is to say, it is delicious. Cabot consistently makes delicious Cheddar cheeses and Everything Bagel is no different. The first bite I took of this cheese, I felt like I was eating an everything bagel. It is powerful with flavor while at the same time not overwhelming. If you like everything bagels, I can only imagine you will like Everything Bagel Cheddar. I am no expert when it comes to caramelized onions, that is abundantly clear. 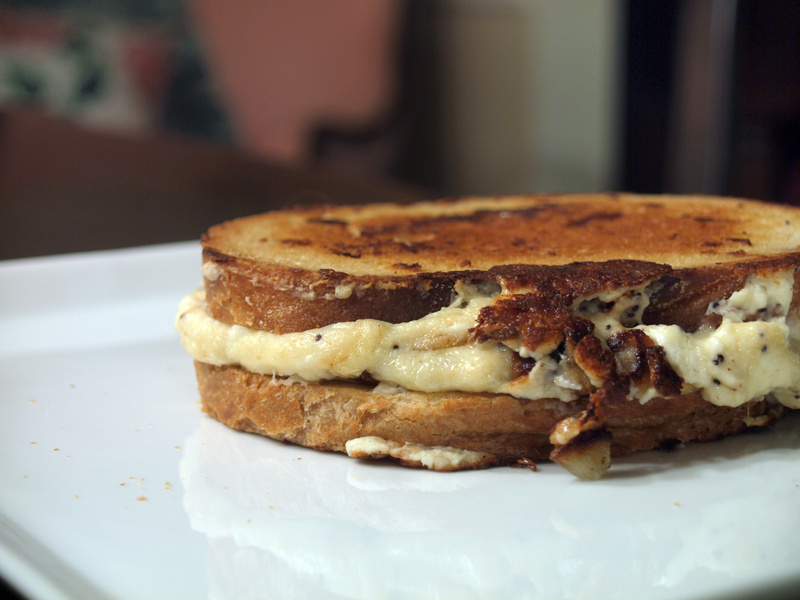 Regardless, I made my version of “quick caramelized onions” to include in this Everything Bagel Grilled Cheese. I was trying hard to think of the perfect ingredient to include with the cream cheese and Everything Bagel Cheddar and for some reason, I kept coming back to caramelized onions. 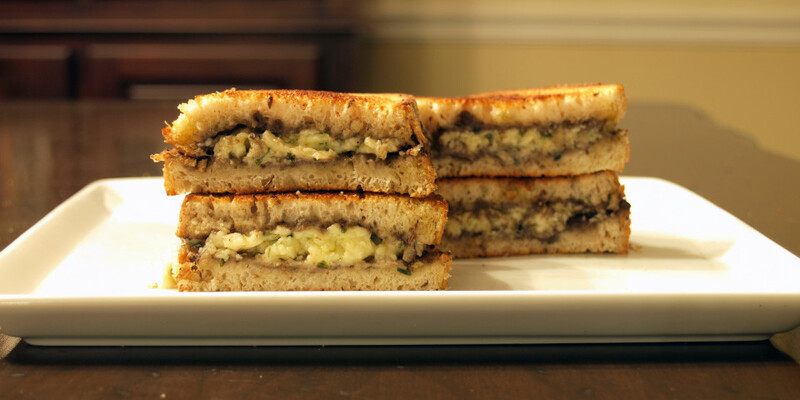 They are delicious and worked perfectly in this grilled cheese. I didn’t specifically choose challah for this grilled cheese, we just happened to have some in the house. (We are Jewish after all, aren’t we?) It worked perfectly and crisped up nicely. The key to this grilled cheese is how I put it all together and I was lucky that it did in fact come together. It all happened so quickly, and I had to improvise a couple of times, I am surprised I even have a final grilled cheese to post. My original idea was to quickly melt the Everything Bagel Cheddar in a pan and then add it to a bowl of room temperature cream cheese. Then, I would finish the sandwich like most every other grilled cheese I cook. The only problem was that when I did that, the Everything Bagel Cheddar cooled down and became stringy in the cream cheese. Fail. In the uncleaned pan that I used to make the caramelized onions, I melted the cream cheese and Everything Bagel Cheddar on low to medium heat. This worked out perfectly, with the two cheeses melding together and becoming one big, blob of deliciousness. Then, I thought why not, and I added in the caramelized onions. Together, this melted mixture of goodness became the filling to my Everything Bagel Grilled Cheese. While that mixture was still in the pan, I buttered my bread and added it to the pan. To make sure that I included enough of the Everything Bagel Grilled Cheese, I shredded some extra cheese and added it directly on top of one slice of bread. I let that cook for a few minutes and then I finished the cooking process by moving the blob to the bread. I then cooked the grilled cheese as I would any other sandwich. This grilled cheese, at times, literally and figuratively looked like a complete mess. I improvised on multiple occasions. I was flustered and unsure. Even with all of that, this Everything Bagel Grilled Cheese was absolutely delicious. The cream cheese provided a smooth and creamy texture. The Cabot Everything Bagel Cheddar (and caramelized onions) added the flavor and bite. It was a success. The grilled cheese could be seen as overpowering or even strong with the many flavors at play here, mostly from the Cheddar, but I never felt that. Yes, the flavor was evident but it was never a turn off or made me dislike the sandwich. 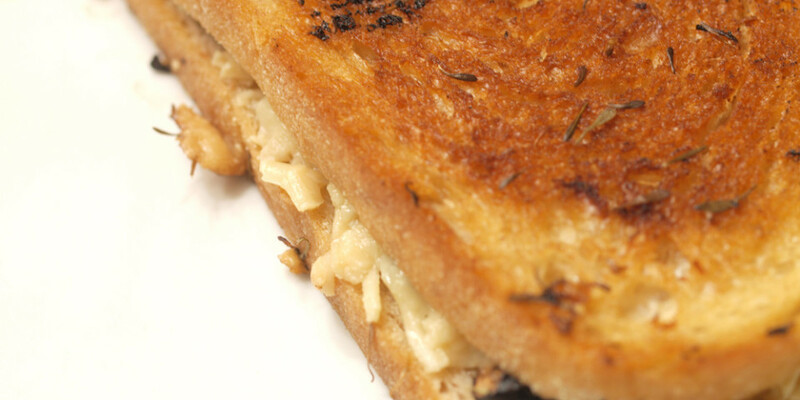 If the flavors were weaker or more muddled, the grilled cheese would have fell flat. 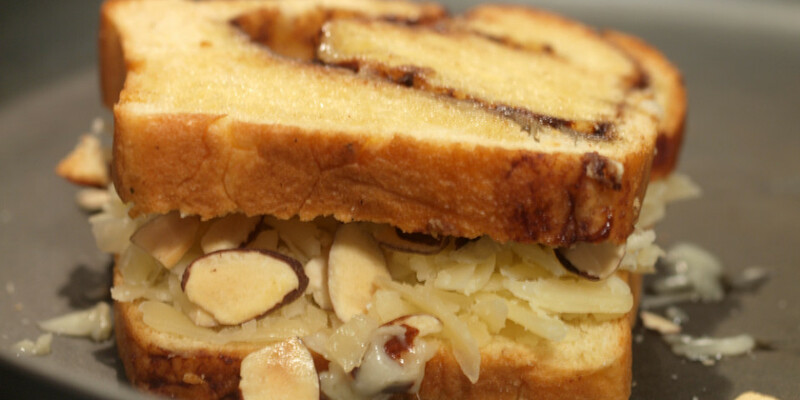 The burst of flavor was the reason this sandwich was a success and why you should try to recreate it at home. Or, simply go out and buy yourself some Cabot Everything Bagel Cheddar. Wow…you really did Cabot Everything Bagel Cheddar proud with this post. I want to run to the kitchen and make this immediately! Thanks for the Cabot love and for your support of the 1200 farm families who own Cabot! Dafuk? I just emailed Cabot because this product isn’t in my area. This looks brilliant. I wanna try it but guess I’ll have to make my own everything bagel cheddar.